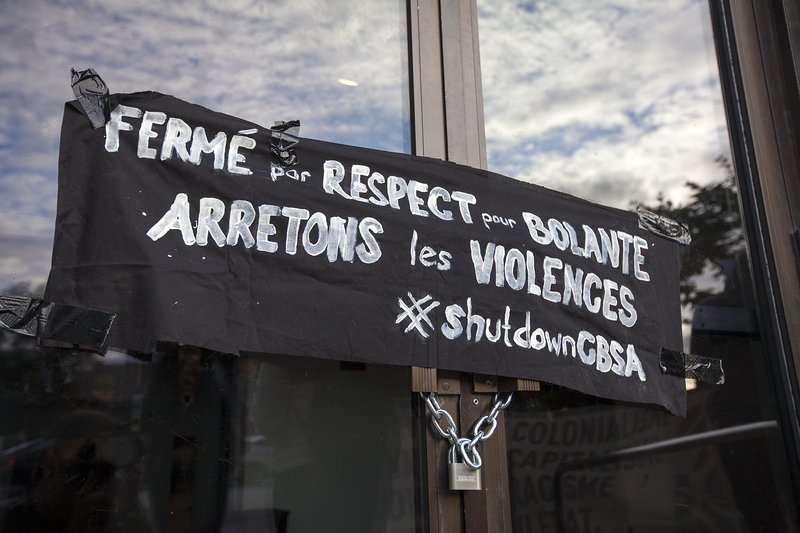 Montreal CBSA offices were shut down this morning in honour of Mr. Bolante Idowu Alo and of our friends, family members and neighbours who have been deported. Migrant justice activists blocked and chained all doors to the building and employees were not able to enter the building to carry on their work for two hours. We want to ensure that business could not go on as usual. Mr. Bolante Idowu Alo died violently at the hands of the Canadian Border Services Agency (CBSA): we cannot let them carry on as though nothing has happened. We call on our communities to not only condemn this outrageous violence but take action to stop it from happening again. Mr. Alo lived in Canada for 13 years. He repeatedly told Canadian officials that his life was in danger in Nigeria. CBSA nevertheless proceeded with his deportation on 7 August; Mr. Alo died shortly after he was taken off the plane that was supposed to deport him. We took this action to challenge the normalization of CBSA violence, and of deportations and detentions of migrants and refugees. We want to hold the CBSA accountable. Mr. Alo is not the first person to die in CBSA custody. And he should never have been threatened with deportation in the first place. We are also remembering other friends, family members, and neighbours who have been detained and forcibly deported from Canada by the CBSA, like Lucy Francineth Granados, who was deported on 13 April 2018, leaving holes in our lives and communities. In 2016, Canada issued 11,733 removal orders: some left “voluntarily”, others were deported, still others remained to become undocumented migrants. Of the migrants who crossed irregularly into Canada to flee the Trump regime, whose cases have been heard, less than 50% have been accepted as refugees; this figure drops to 10% in the case of Haitians. People whose refugee claims are refused are ordered to return to their countries of citizenship – including to Haiti, despite the fact that Canada issued a warning against travel to Haiti. 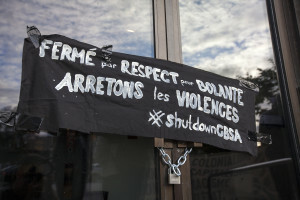 In support of the shut down, people gathered outside CBSA offices for a public mourning of Mr. Alo and their deported friends and neighbours. A coffin was placed in front of the building. Black silhouettes with the names of friends who had been deported were lined up against the wall. 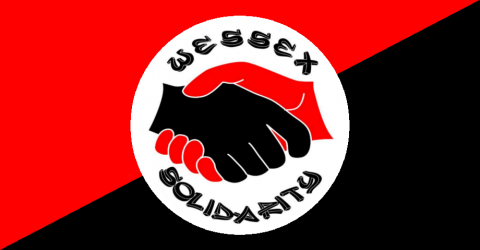 The rally demanded the abolition of the new Ministry of Border Security, a moratorium on deportations to Haiti, and an end to the deportations of refugees and migrants. Red And Black Telly: The Paris Massacre, it’s aftermath, the future.